Randy Ubillos demoing Final Cut Pro, via EOSHD. Ubillos revealed his departure in a post to Twitter. The developer suggested he will not be taking another full-time job, as he said he's looking forward "to retirement and the adventures ahead." His official title at Apple was chief architect of photo and video applications. Ubillos started out at Adobe, where he worked on the first three versions of its Premier software. 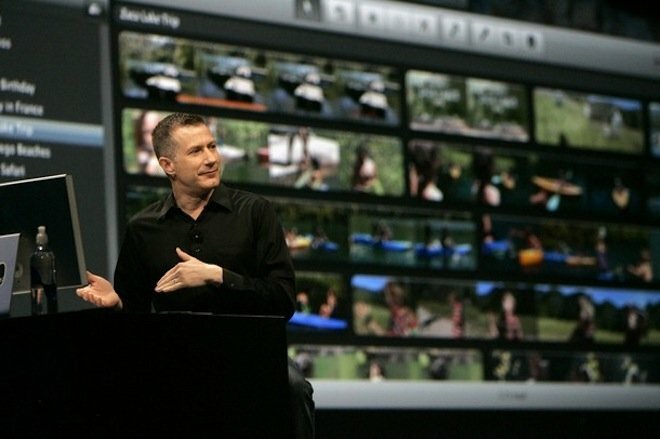 He later jumped ship to Macromedia where he helped to create KeyGrip, a pro video editing program based on Apple's QuickTime. KeyGrip was later renamed Final Cut, though Macromedia could not release it due to licensing issues. Apple eventually purchased the Final Cut team and software outright, and saw its development through. In addition to Final Cut, Ubillos was also responsible for the creation of both iMovie and Aperture during his time at Apple.